With a toddler firmly strapped to her back, Rose Kimutai carefully shuffles around her compound as she removes items from her house in Kaptoror village on the steep slopes of Elgeyo escarpment. Dozens of residents can also be seen hauling their property into a waiting truck to be carted away. The mass exodus has been motivated by the development of huge fissures around their houses. “It all began on Thursday last week following an overnight downpour. When I tried to open the door in the morning, I noticed that it wouldn’t open properly. And then I saw a crack on the ground. When I managed to come out, there was an even bigger crack,” Kimutai told The Standard team when we visited the area earlier this week. She was forced to move into a chicken coop a safe distance away until neighbours came to her rescue. “The cracks are dangerous and one can fall into them. I have nowhere else to turn to because this has always been my home. The entire village is no longer safe for us,” she said. 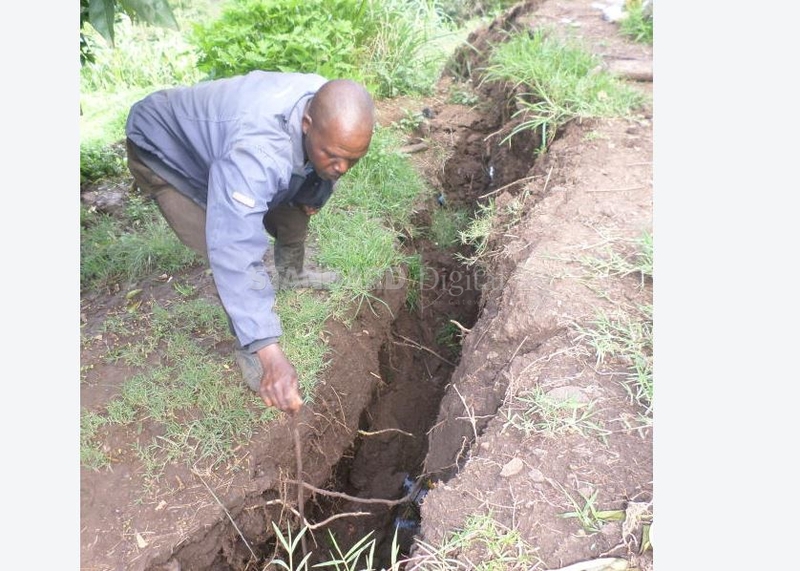 The fissures that stretch more than ten kilometers have cut through Kapsegut, Ketigoi and Kalwal villages and residents are living in fear that the area might sink. Roads linking the villages to other areas have been rendered impassable. 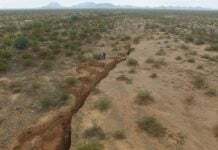 The fissures are similar to those that appeared at Suswa on the border of Nakuru and Baringo counties about two months ago, cutting off roads and farmlands. Scared villagers have been watching as the five-foot cracks widen by the day. Underground water has been oozing to the surface, causing depression in the earth and raising fears of landslides. “On a still night, one can hear rumbling from the ground as if there is an earthquake. We fear the worst might happen and the entire region will sink someday. The government and other agencies should move with speed and relocate us to safer areas,” said Nicholas Kipruto, another resident. Learning has also been disrupted with parents worried that their children might fall into the yawning crevices. More than 10,000 households live on the escarpment where they engage in farming and charcoal burning. The widespread cutting down of trees has been blamed for the recurrent landslides. Geologist Henry Kurgat warned that the fissures were a ticking time bomb. “Given the extent of the cracks, emergency measures must be taken. 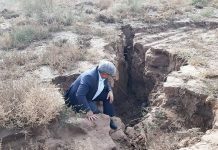 Those who live downstream should be moved immediately because if the rains continue, it will take less than three days for the lower layer of the soil to roll down,” he said. Recently, giants cracks also opened up in Uganda, just west of Kenya and also sitting in the Great African Rift.